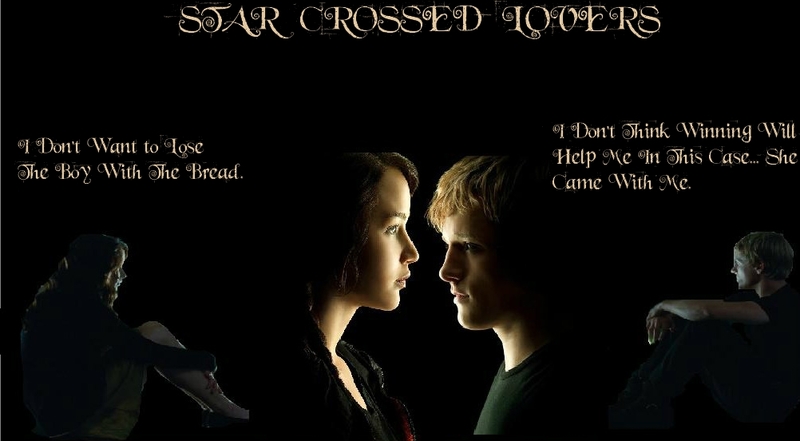 ster Crossed Lovers. . HD Wallpaper and background images in the The Hunger Games club tagged: katniss everdeen the hunger games fan art movie peeta mellark characters star crossed lovers. This The Hunger Games fan art might contain teken, poster, tekst, bord, schoolbord, pak, anime, grappig boek, manga, cartoon, and stripboek.